Spider-Man has an impressive rogues gallery, but few of his enemies can match the monstrous Venom in ferocity. Controlled by a parasitic symbiote, Eddie Brock (the original Venom) harbors a hatred for Spidey that drives him to insanity, and it’s made him a great villain for the hero over the years. The beast has appeared across all mediums, showing up in video games, a film and television as a prominent adversary for our favorite web-slinger. The character has also been the subject of spinoff discussion amongst Sony executives ever since Spider-Man 3 hit theaters in 2007, but complications arose and the planned Venom film fell into development hell. Now, though, the project has finally been given the green light. Reportedly slated for an October 2018 release, the untitled film will supposedly begin shooting in fall 2017, and My Entertainment World lists the production as horror/sci-fi, which gives us a bit of an idea as to the direction the studio is headed in with the project. Currently, it’s unclear which host the symbiote will take in the film. Studio executives may want to distance themselves from Brock though after Grace’s poorly-received performance in the aforementioned Spider-Man 3. Peter Parker’s high school bully Flash Thompson, hardened criminal Mac Gargan, and crime scion Angelo Fortunato are all viable candidates then, but Sony could even go with Venoms from Marvel’s many alternate realities. 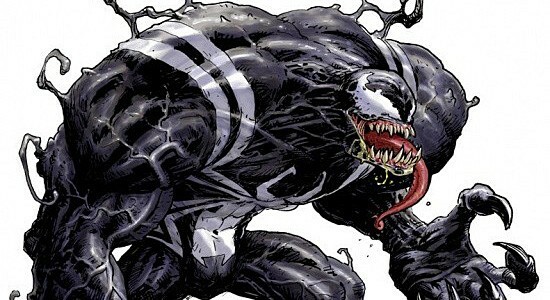 Personally, I think Thompson would be fascinating to see onscreen as a new Venom. The guy has a long and complicated history with Parker, allowing for a bit of creative wiggle room and boasting tons of potential. What do you think, though? Should Flash be featured in the upcoming Venom movie? Or should someone else take centre stage? Drop us a comment in the usual place with your thoughts.